It’s finally here. After about 7 years of researching, writing and editing my book is being published this fall. The book is available to order on the University of Texas Press website. For news about when the book will be shipped and subsequent events please sign up for our monthly newsletter or follow us on Facebook. Want to read this on a Kindle? Be sure to let the press know by clicking “I’d like to read this on a kindle” link on our amazon.com page. Although you can order through Amazon we recommend you use the press website, as they are offering a substantial discount. In the spring of 1983, a North American couple who were hoping to adopt a child internationally received word that if they acted quickly, they could become the parents of a boy in an orphanage in Honduras. Layers of red tape dissolved as the American Embassy there smoothed the way for the adoption. Within a few weeks, Margaret Ward and Thomas de Witt were the parents of a toddler they named Nelson—an adorable boy whose prior life seemed as mysterious as the fact that government officials in two countries had inexplicably expedited his adoption. 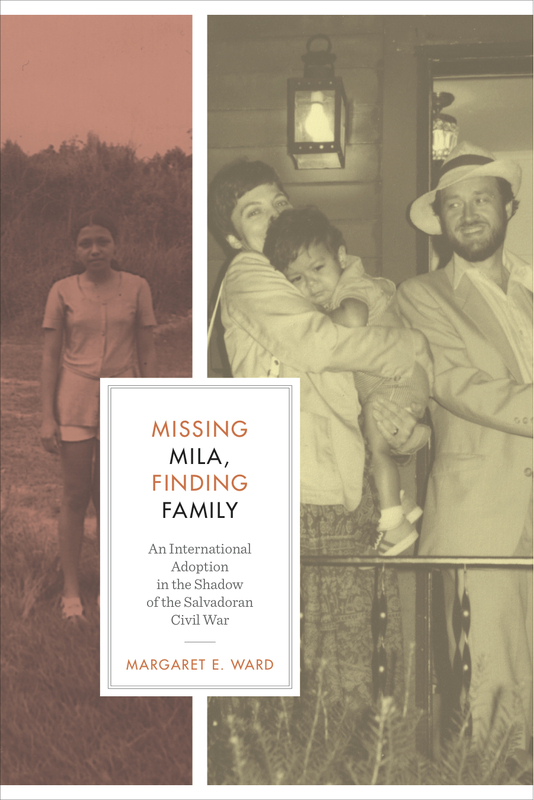 In Missing Mila, Finding Family, Margaret Ward tells the poignant and compelling story of this international adoption and the astonishing revelations that emerged when Nelson’s birth family finally relocated him in 1997. After recounting their early years together, during which she and Tom welcomed the birth of a second son, Derek, and created a family with both boys, Ward vividly recalls the upheaval that occurred when members of Nelson’s birth family contacted them and sought a reunion with the boy they knew as Roberto. She describes how their sense of family expanded to include Nelson’s Central American relatives, who helped her piece together the lives of her son’s birth parents and their clandestine activities as guerrillas in El Salvador’s civil war. In particular, Ward develops an internal dialogue with Nelson’s deceased mother Mila, an elusive figure whose life and motivations she tries to understand.